Since 2013 started, I have been recommending. As a matter of fact, I made myself a shareholder. As a responsible investor I have been researching the company andits investments. 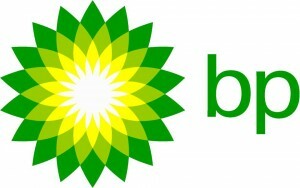 Talking about investments, one of BP (NYSE:BP)’s current biggest bets is its 19.75% ownership of Russian oil giant. British Petroleum got this share of Rosneft when it sold its 50% stake in for $12.5 billion in cash and its current portion of Russia’s new energy champion. In the future, this newly acquired asset could become British Petroleum’s most valuable. Moreover, from Rosneft’s currently low valuation level, British Petroleum’s potential gains are great. Let’s take a look at why is it that I hold this relatively rare view. When Igor Sechin, Rosneft’s chief executive, bought TNK-BP for $55 billion, he turned Rosneft into a true giant. Nowadays, the company is the world’s biggest listed energy group measured by total production (at 5 million barrels of oil equivalent per day) and proven reserves. The deal that merged TNK-BP with Rosneft created a company that accounts for 5% of oil’s global daily production. The company had already gone though a trans-formative period when it acquired Yukos back in 2004, a deal that doubled its daily production capabilities. More importantly, Rosneft holds the most relevant exploration rights in the Arctic Ocean. A place where all big oil/gas companies such as Exxon Mobile Corporation (NYSE:XOM) or Statoil ASA(ADR) (NYSE:STO) are intending to go hunt for much needed reserves. Both those aforementioned companies have already signed deals with the Russian energy giant to explore for oil and gas in the Arctic Ocean and the list of interested parties just grows every day. Overseas companies need the resources that Rosneft can bring to the table while the Russian company needs the cash and technology that more experienced enterprises can provide. I feel many deals are coming and Rosneft (and hence British Petroleum) are set to benefit from them. Even a mediocre reality can satisfy very low expectations. Following my train of thought and given the low current market valuation for Rosneft, it looks like British Petrolum’s shareholders will be more than happy about their one fifth stake in the Russian company. Let’s compare Rosneft’s valuation metrics next to its main partners. 2013 Price/Earnings : While Rosneft has an expected multiple of 4.7, British Petroleum has an expected multiple of 8.5. Exxon and Statoil have even higher multiples at 10.8 and 8.4, respectively. 2013 EV/EBITDAX (which excludes exploration costs): While Rosneft has an expected multiple of 4.5 (in line with Statoil), British Petroleum has an expected multiple of 4.9. Exxon has even higher multiple at 7.1. As we can see from the figures above, Mr. Market doesn’t expect much from Rosneft. I think such low expectations can produce nothing but good surprises. Good surprises can be translated into higher share prices and therefore mark to market earnings for British Petroleum. Milton Friedman used to say “there is not such a thing as a free lunch”. He was right. British Petroleum’s deal with Rosneft has great upside potential but also two major risks.